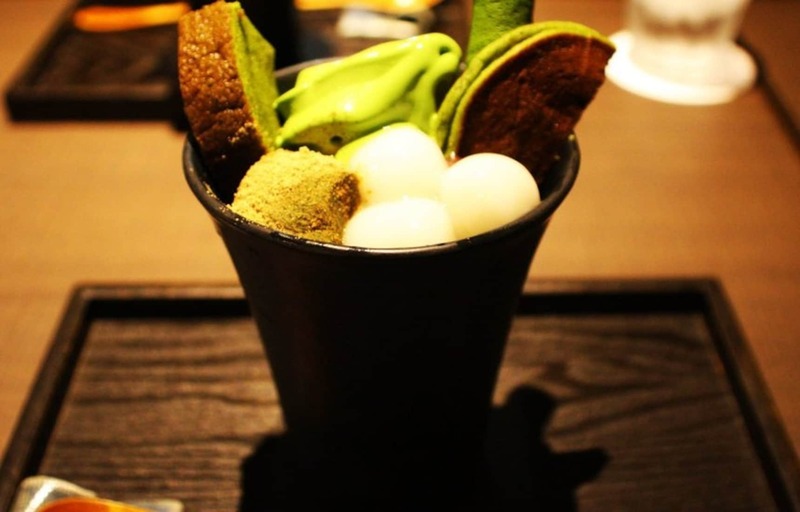 While the Kyoto area is known for its green tea, or matcha, why not take it to the next level with a green tea parfait? 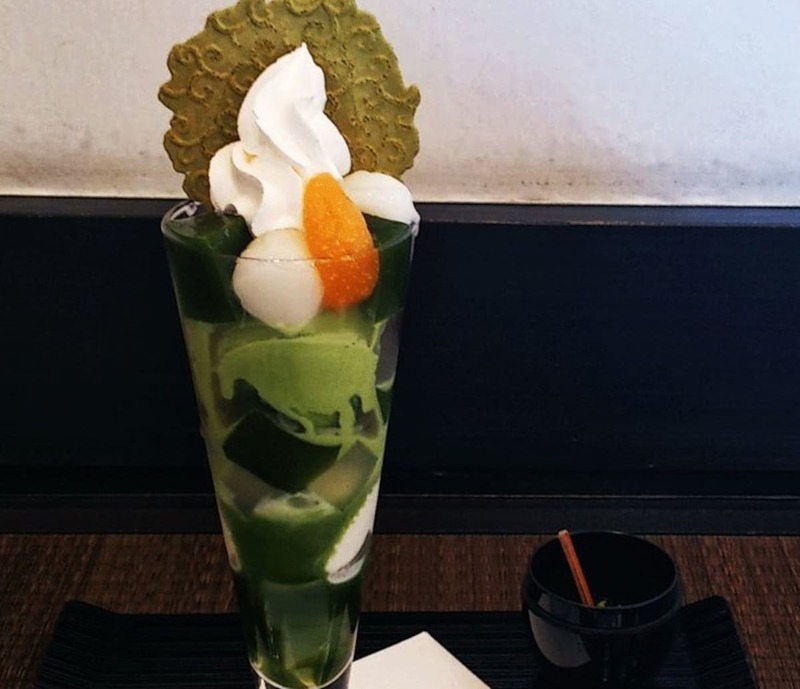 Check out some of the best green tea parfaits in places like Uji, Gion, Nishiki Market (a.k.a. "Kyoto's Kitchen") and Kyoto Station! Ito Kyuemon is a longstanding tea maker in Uji City that's been operating since the Edo Period (1603-1868). You can grab a green tea parfait at their tea lounge, which is about five minutes' walk from Uji Station. At ¥680, the price is quite reasonable for a parfait from traditional tea-maker in Kyoto. Ito Kyuemon’s green tea jelly has a bit of the characteristic bitterness of green tea, great for those who don't like too much sweetness. We recommend eating it together with the ice cream, as you'll find a big chunk of green tea jelly between the rich green tea ice cream and the vanilla ice cream in the parfait. If you'd like a stronger green tea flavor, try it with a generous serving of the green tea powder that comes along with the parfait. You'll smell the green tea lightly spreading in the air as the flavor deepens. This café is so popular that there's a queue right from opening time, so we recommend heading there either first thing in the morning or in the evening. Nakamura Tokichi is a traditional tea maker with 150 years of history. While its main store is in Uji, you can also find a Nakamura Tokichi café on the third floor of Isetan department store in JR Kyoto Station. The Maruto Parfait arrives marked with the kanji for 10 (十), the symbol of Nakamura Tokichi, written with green tea powder on top of whipped cream. Under the whipped cream you'll find green tea chiffon cake, and when you eat them together it feels like a green tea roll cake! Digging deeper with your spoon, you'll find shiratama rice-flour dumplings and puffy rice snacks below. Further down are big chunks of chewy green tea jelly, the signature confection from Nakamura Tokichi. There's no way to describe the incredible combination of this jelly with the green tea syrup at the very bottom of the glass!